Saying that Iranian President Hassan Rouhani will pay a working visit to China and attend the summit of the China and Russia-led security bloc the Shanghai Cooperation Organization (SCO), he said the two sides would discuss ways to enhance ties in the face of the new US sanctions. US President Donald Trump announced on May 8 that Washington was walking away from the nuclear agreement, which was reached between Iran and the five permanent members of the UN Security Council - the US, Britain, France, Russia and China - plus Germany. Karbasian further said that the value of Iran’s exports of mineral products stood at $9 billion, which he described as a new record. 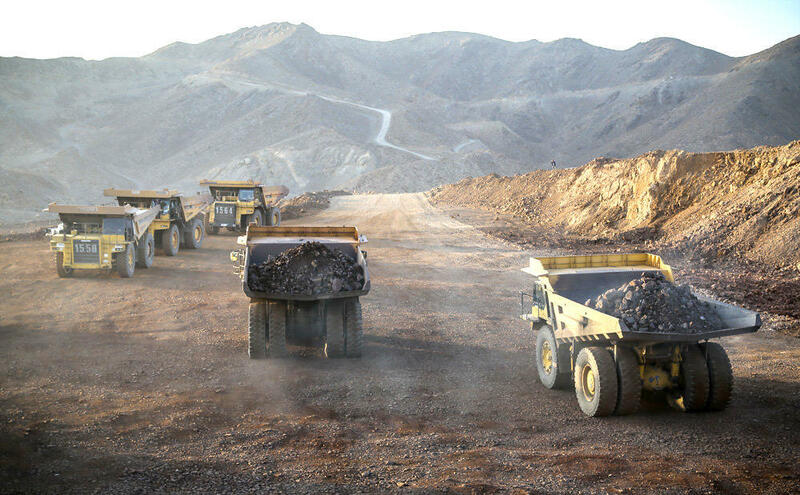 Iran possesses 7% of the world’s total mineral reserves worth about $700 billion, including the world’s largest deposits of copper, zinc and iron ore, but officials say this figure could rise to $1.4 trillion with new discoveries. The provinces of Kerman, Yazd, East and West Azarbaijan and Golestan bear much of the country’s mineral reserves.